Originally the Laramie stockyards were built right next to the Union Pacific Railroad tracks. Once stock arrived, they would rest and be fed and watered before being moved on the train to their next location. In 1910, a new stockyard was built on the north end of town away from the center of the town’s activities. 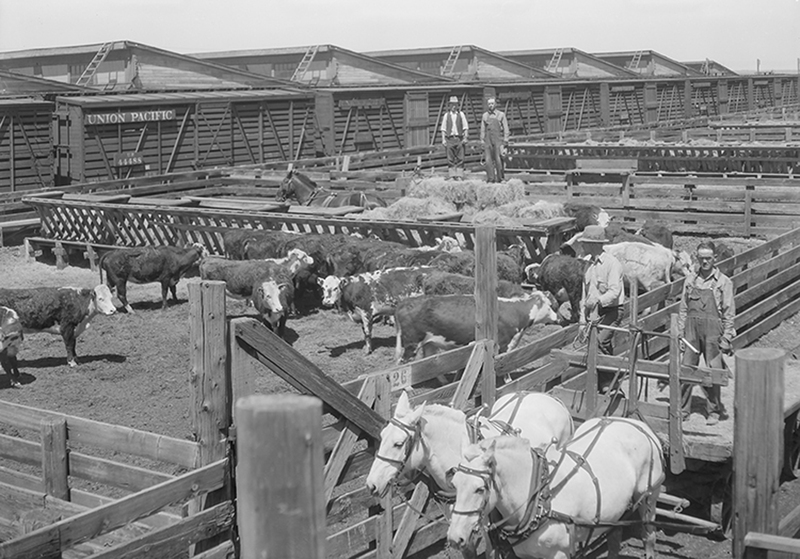 Learn more about the history of Laramie stockyards.